The Blunt Bean Counter: He Shoots, He Blogs, He Scores! He Shoots, He Blogs, He Scores! 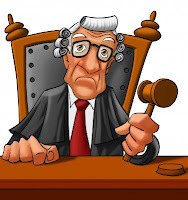 In June, a Tax Court of Canada case, Berger v. The Queen (2015) was published. The case revolved around sports, income tax, and blogging. Now that’s my type of case and a topic I have to write about. There is a further “kicker” in this case for me. I grew up with Howard Berger, the appellant, a well-known sports reporter and journalist at the FAN 590 in Toronto. Howard was a sports fanatic from the get-go with an encyclopedia-like mind for dates, events, statistics, and he used to take me to Toronto Toro games. 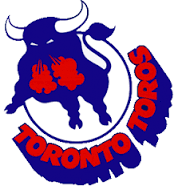 For those of you too young to remember, the Toro’s were part of the World Hockey Association from 1973-1976 and included such luminaries as Gilles Gratton and his Tiger Mask, Shotgun Tom Simpson and even Frank Mahovlich. The case deals with whether Howard could claim business losses from operating his hockey-based sports blog, carried on under the name Berger Bytes. Running and setting up the blog (which was created shortly after Howard was laid off from his job at the FAN 590) resulted in start-up losses of $26,540 and $37,866 respectively on his 2011 and 2012 tax returns. The CRA felt these losses should be denied because the personal element of following around the Toronto Maple Leafs and writing about the Leafs and hockey was for Howard's personal enjoyment as opposed to conducting a business activity for a profit. Most of the facts below are taken directly from the judgement issued by The Honourable Justice Campbell J. Miller and are noted in quotes. 2. Howard became concerned about his prospects with the FAN 590 following the 2008 economic downturn and a change in management. 3. “Since 2006 part of his job with FAN 590 had been to write 3 or 4 blogs a week for the FAN 590 website: indeed, he described this as becoming an important part of his job. Given his ongoing concern about his future with FAN 590 he devised a plan that, if he lost his job, he would continue to write a hockey sports blog and make a living doing so. His plan was simple: he would write a quality hockey blog that would attract sufficient readership that sponsors would want to advertise on his site”. 5. He established Bergerbytes.ca in September, 2011. 6. In 2011, Howard reported $26,540 of expenses (approximately $24,000 that related to travel following the Toronto Maple Leafs for flights, car rentals and hotel), these expenses were denied by the CRA on the basis the expenses were personal in nature and not incurred in the course of a commercial activity or business. 7. In 2012, Howard reported $37,866 of expenses (approximately $35,000 that related to travel following the Toronto Maple Leafs for flights, car rentals and hotel). In 2012, he received $7,500 in advertising revenue from a lawyer. These expenses were denied by the CRA on the basis the expenses were personal in nature and not incurred in the course of a commercial activity or business. For all intents and purposes, the sole issue at law in this case was whether Howard was operating a business for profit or was this truly a personal hobby and pursuit? Prior to the Supreme Court case of Stewart v Canada (2002) there was a “reasonable expectation of profit” test the CRA would often apply. However, following Stewart, the key test has become whether the business carried on was commercial. Thus, there is no need to determine whether there was a reasonable expectation of profit or to review a taxpayer’s business decisions or planning or forecasts where a commercial business is carried on. Justice Miller stated “In commercial terms, Mr. Berger was in a start-up phase and the nature of the activity was such that immediate profits in this media-type business would be unlikely. Like a struggling artist (singer, dancer, writer…) in the early stages of a career, some businesses inherently take time. As such, all the expenses were allowed as business expenses, save some small meal expenses. This case is a very interesting example of the considerations the courts will have where there is a personal element in a business venture. The case also reflects that were possible, you should ensure there is no personal element to your business, so that the CRA is precluded from looking for a profit motive.